The excitement and fun around our first pregnancy continues! My husband and I decided to find out the gender of our little one on the way. We felt if our doctors knew, we wanted to know too! We felt it would be just as much of a surprise finding out at our ultrasound as it would be finding out after delivery. 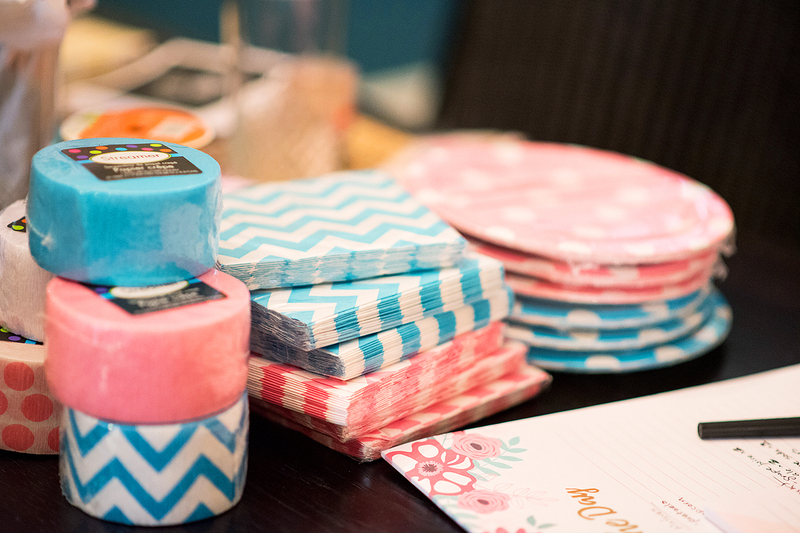 Plus, I am the planning type and wanted to be able to decorate the nursery exactly as I wanted knowing if we had a girl or boy on the way. 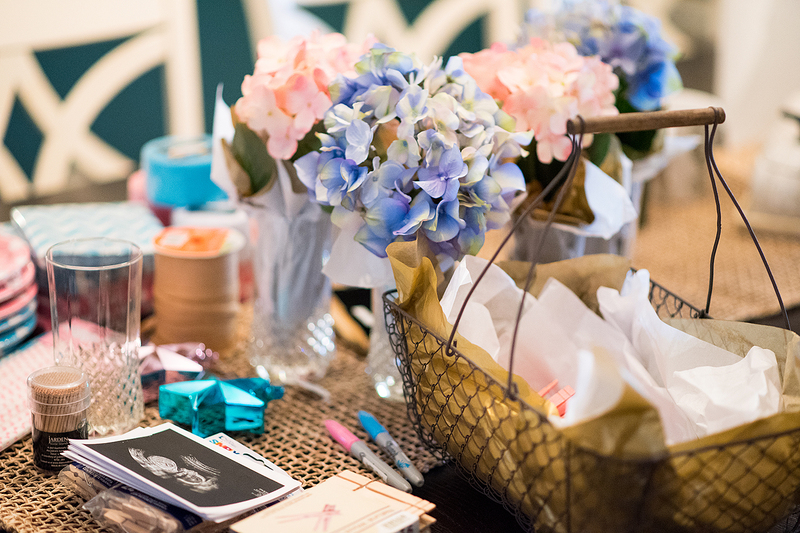 Finding out gave us the chance to throw a gender reveal party to share the news with close family and friends! And of course I snapped some photos along the way. 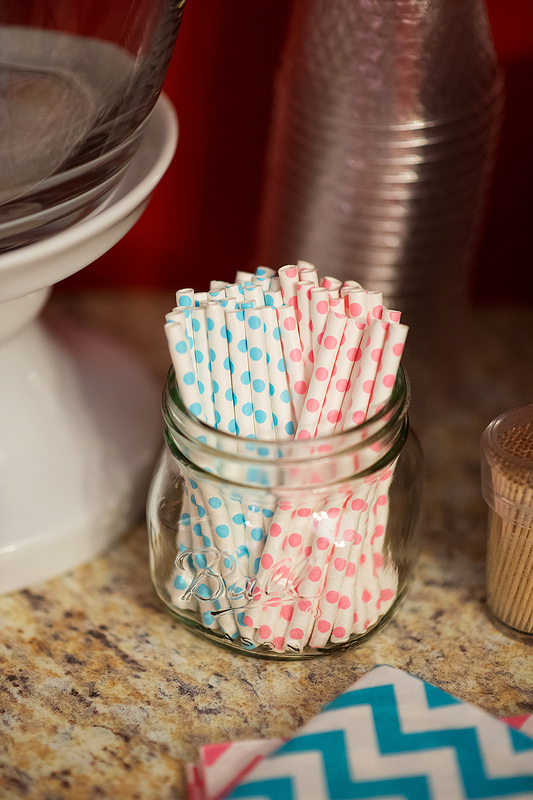 Some people are not a fan of the newer idea of a gender reveal party. 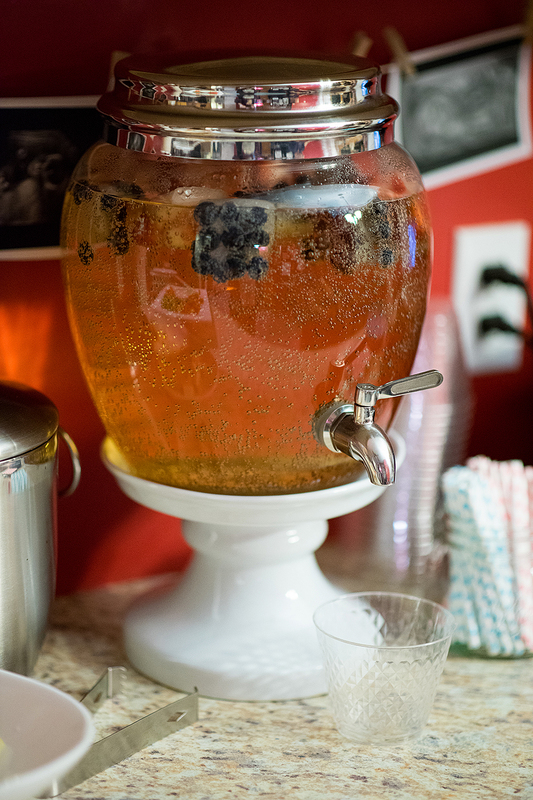 To me, it was a chance to throw a party for our new family member on the way! 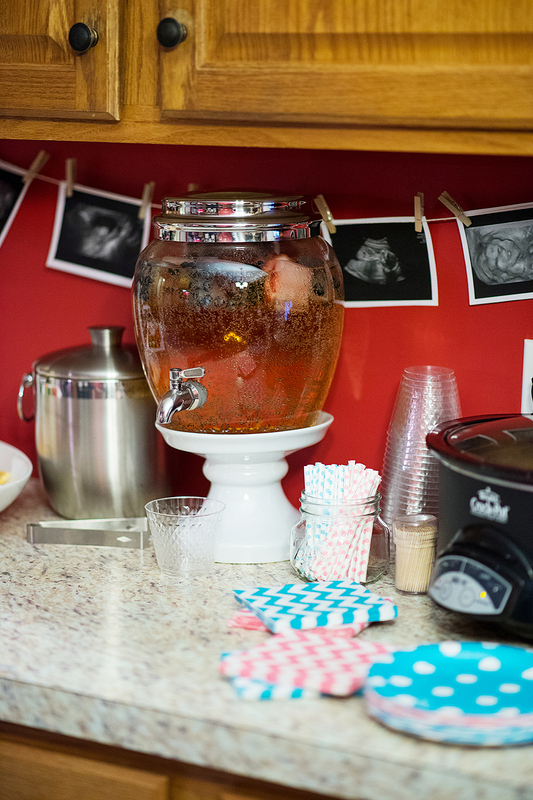 My family and friends were planning baby showers for me, but this party would give me a chance to throw a party myself. We kept it intimate and did it in our own way. For a theme, I went with pink and blue because it was simple and to the point though we have no intention of dressing our child in just pink or blue because they are a girl or boy, unless of course they eventually tell us absolutely everything must be hot pink because, “it’s my absolute favorite color,” in which case we’d encourage them to express themself through hot pink! 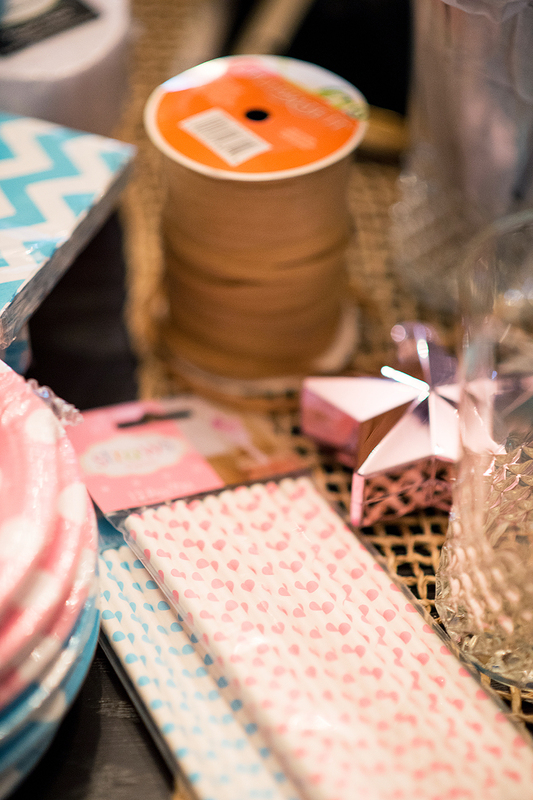 I looked for inspiration and gathered supplies to do a bit of decorating and plan some fun things. 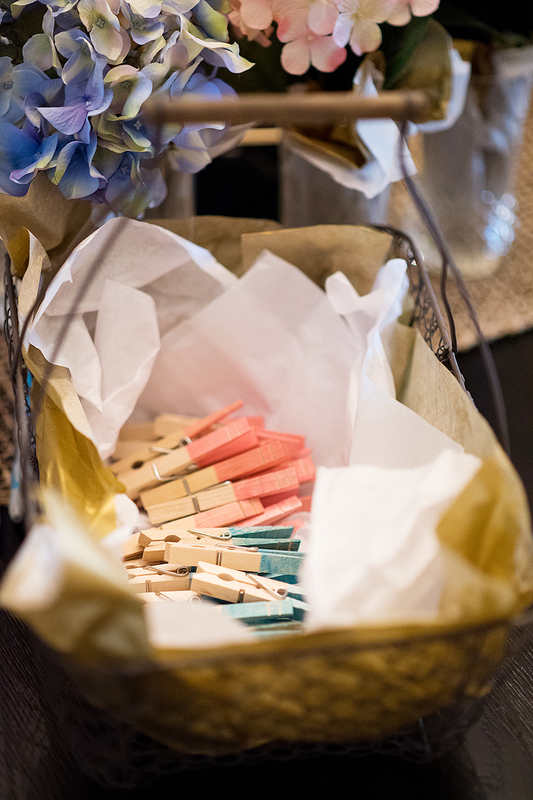 We had colored clothespins so everyone could make a guess when they arrived, I made banners with our ultrasound photos, got a bunch of pretty balloons, and ordered cookies and cupcakes from my friend Fat Cat Sweets. 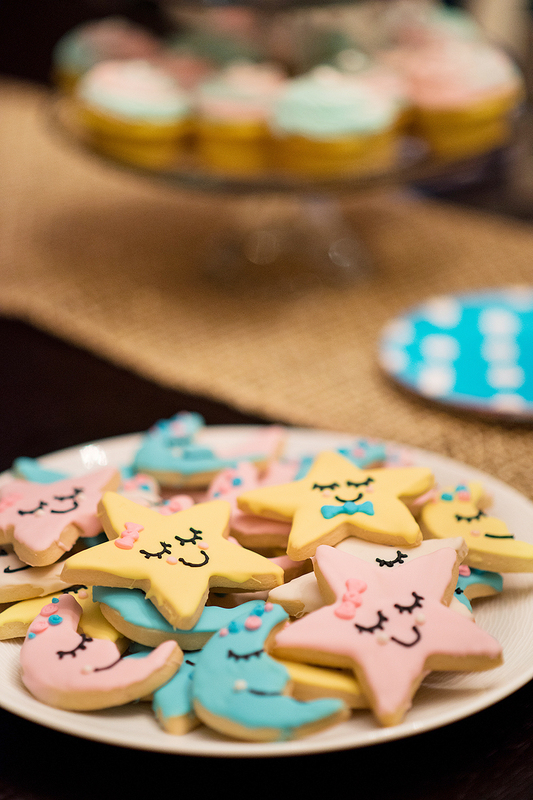 The cookies were super cute stars and moons. 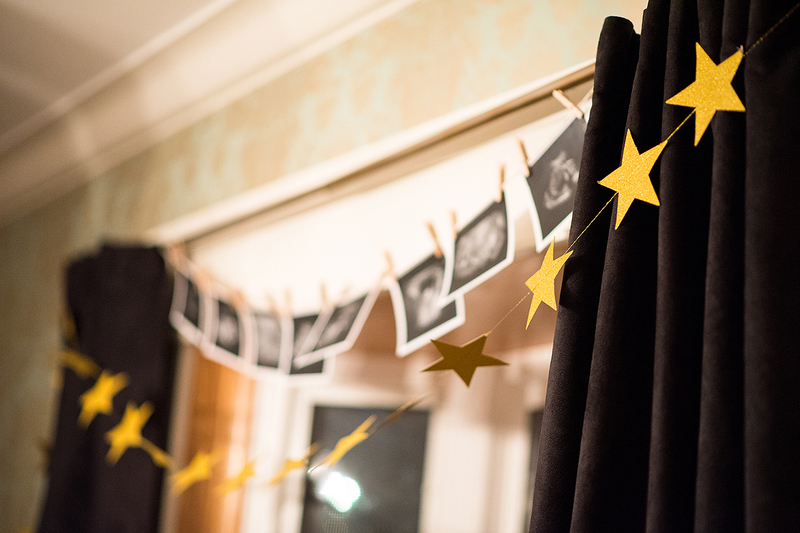 We had decided that would be the theme of the nursery so I did a relaxed Twinkle Twinkle Little Star theme for the party. 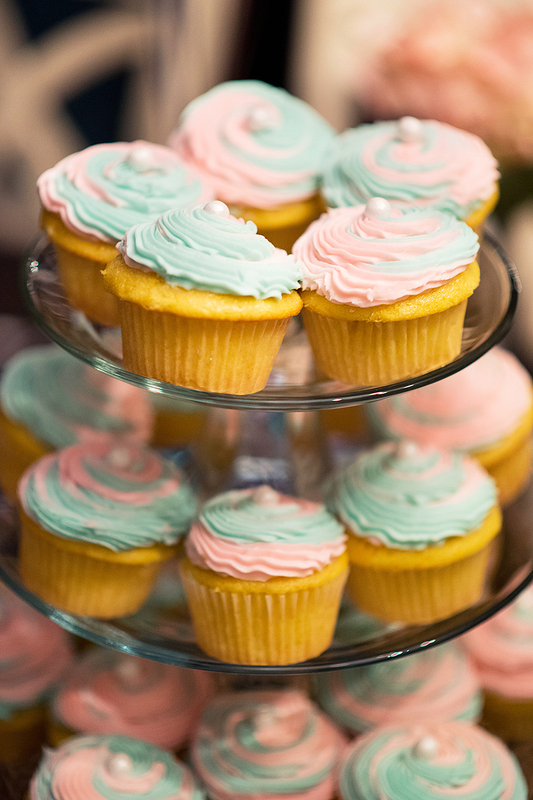 The cupcakes would make the announcement! They were filled with colored frosting and everyone gathered around a took a bit at the same time. 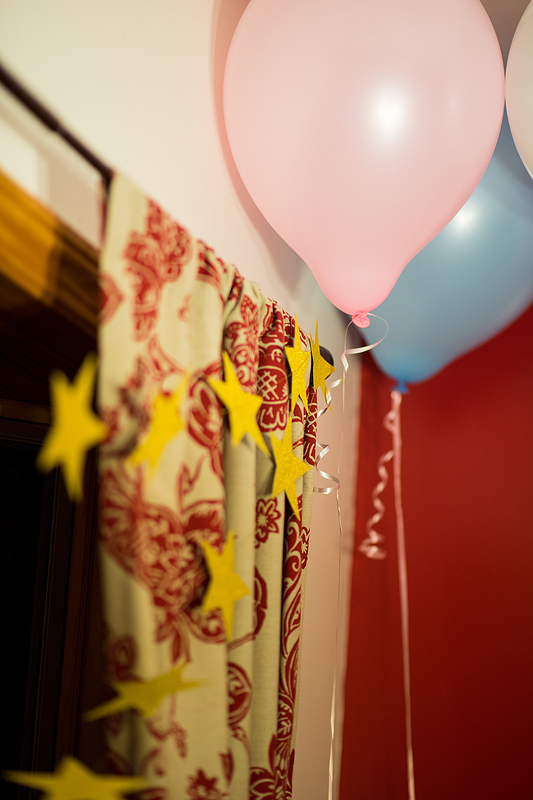 It was a really fun evening and I’m so happy we decided to do the party. 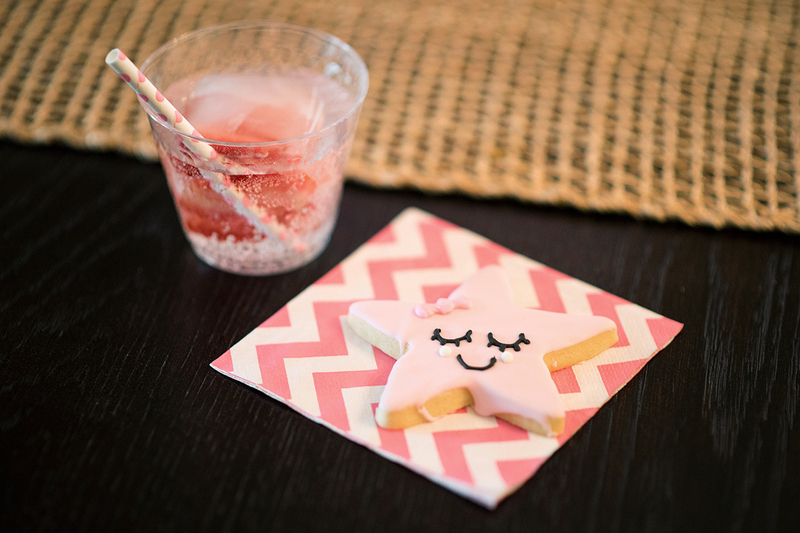 The big reveal… we are having a girl! I’m blogging about our pregnancy and sharing some photos on Instagram with the hashtag #expectingpoe! 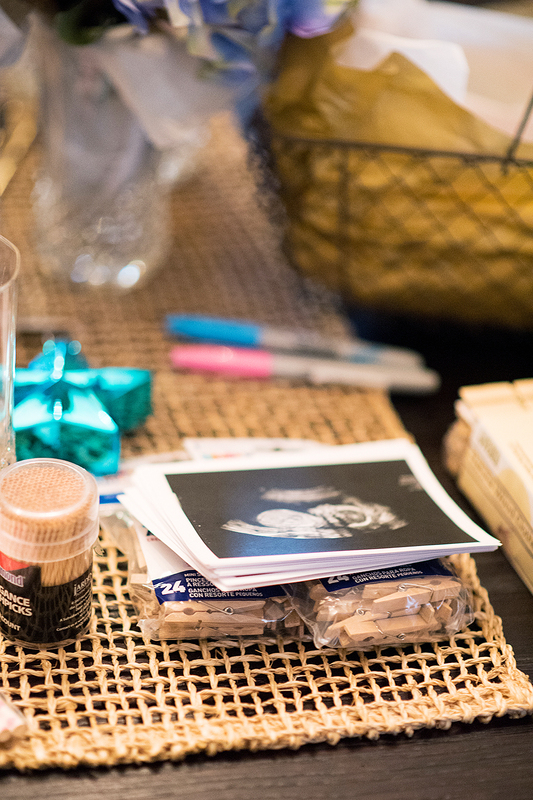 If you’d like to read more, check out my other expecting blogs.